An insightful book filled with articles form a spiritual and energetic perspective. As a columnist on Pagan Pages and a renowned Spiritual Guru globally, Hally shares as her own journey ebbs and flows, and continues to evolve with leaps and bounds. The full colour book with beautiful images also includes a chapter about the 21st December 2012, effective meditations and the basis to create manifestations as well as a few other bonuses to create a complete and comprehensive book. 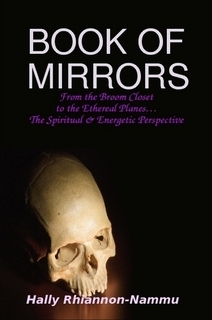 Whether in the broom closet or out; the world of spiritualism and energetics is one that is layered more than can be imagined. … There are times where alignment between both parties severs, be it because they do not want to remain on the same plane as your or vice versa. This isn’t black and white situation and can be very difficult to deal with. Coming into alignment and being true to yourself is hard enough and then to have a partner that doesn’t support you, believe you or get you makes it a difficult and lonely road. You need to make the decision for yourself if you ever find yourself in this situation. It will be different for everyone and there is no one right answer.